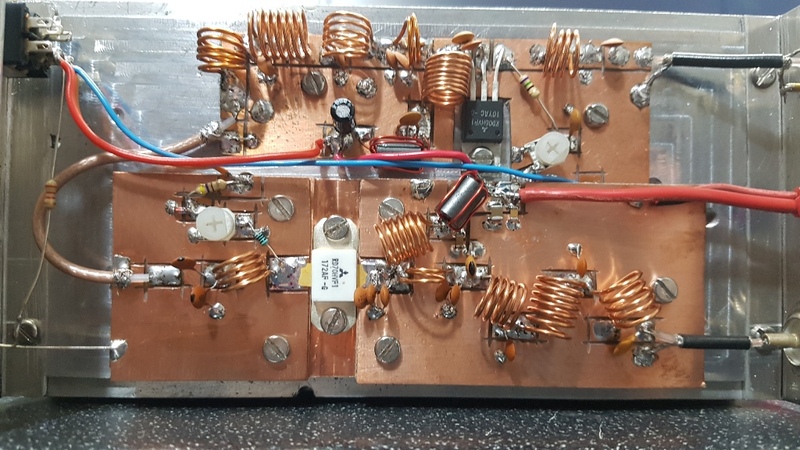 As requested by a few people here is the info for my 4m Amplifier for DATV. 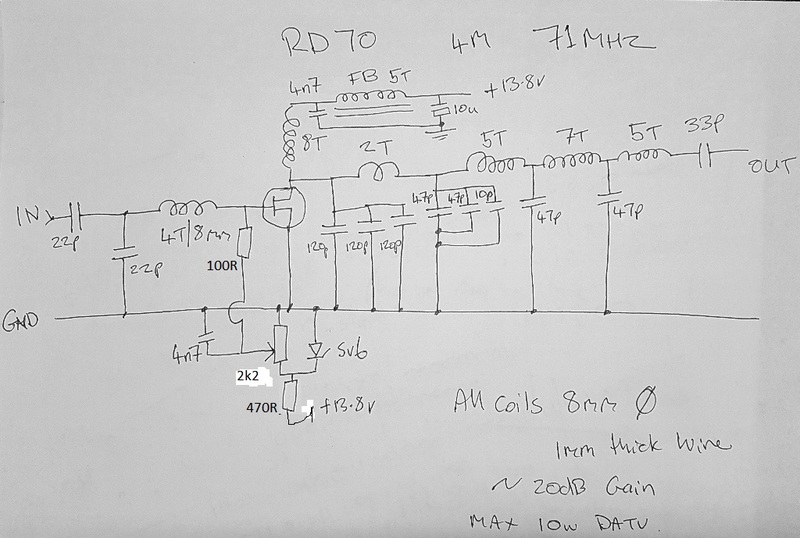 It's basically the same design as the 146MHz one just on 71MHz. Hopefully it's fairly self explanatory! 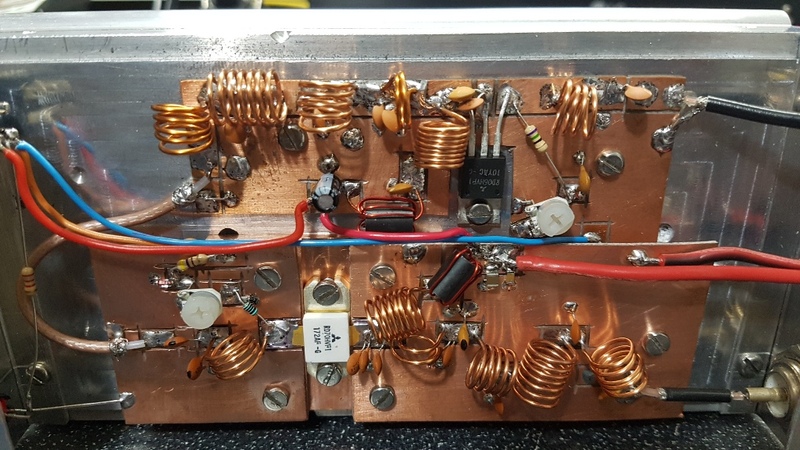 The RD70 does need good heat spreading so advise bolting down onto some copper before the heat sink. 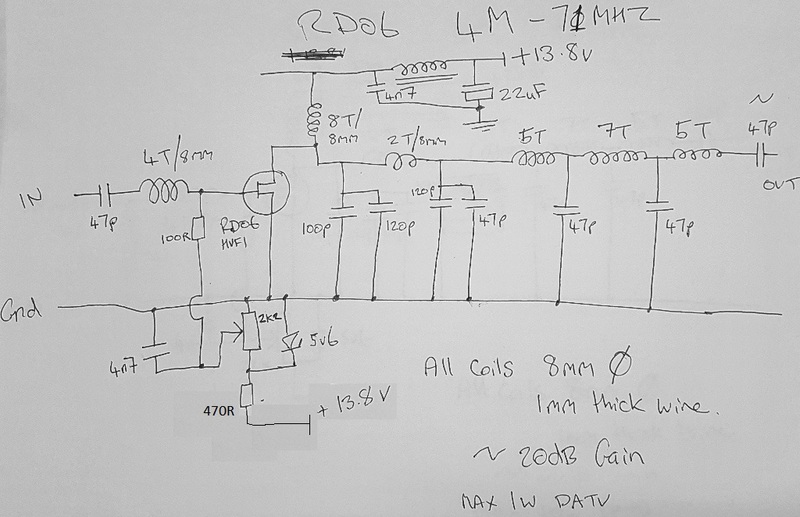 Input ~0dBm gives around 10W output at -50dB shoulders RB DATV. You may need to tweak the tuning for this gain but it's fairly forgiving.